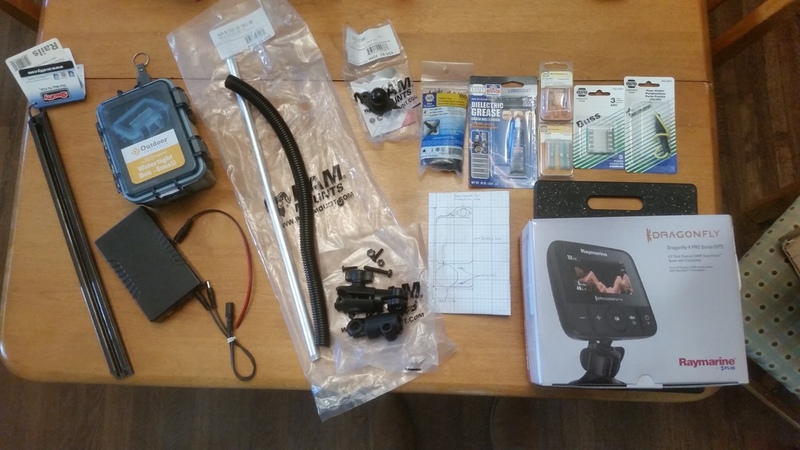 How much did that whole Depth finder and transducer mount set up cost you? I need to get one for mine before fishing season really fires up. I've looked some at the railblaza setup, but that one you have looks really nice. I also plan on putting a Berley Pro visor on it and it’s about $40. I got a deal on the Lowrance unit. If you’re handy you can build a much cheaper battery box but I’ve always been happy with yakattack quality. The switchblade arm is really cool and better than the older style bendable arms. It cuts through the water easily due to improved design. I’ll post a pic when I get home of finjshed product. I used a lot more zip ties than the 2 they included because I wanted a cleaner wire situation. That’s also probably not where it ends up exactly. I’ll find the spot I want it on the rail and the unit/arm articulation when I get on the water. But that’s basically it. I did a DIY version if stoms setup and used the ram transducer arm. It's been working well for a couple of years now. That looks great. Bet you spent much less. Clean having all the wires inside the box. I'll probably be there Saturday morning as well. I'll probably roll out of town around 5ish. Figured let the sun come up and start warming up the water a bit. I'm really looking for trout mostly. I hope y’all tear ‘em up! 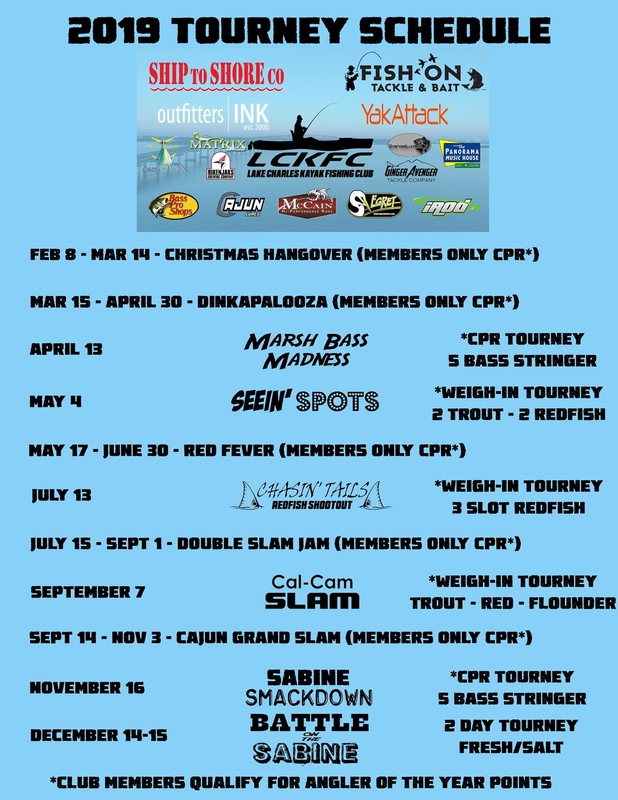 If anyone is interested, here is the Lake Charles Kayak Club’s Tournament Schedule for 2019. I think I'm going to mount the battery in the Native battery bag in the plastic hatch behind the pedal drive. I'm going to drill a hole and mount a battery connector to the hatch, so I can just unplug and charge the battery through the connector. 1/8 jighead green hornet but once the boats showed up the bite was gone. Very nice. YOURADHERE said you were the only one that caught that he talked to. I like the waterproof concept of it, but I don't like where you positioned it for one reason. You can't paddle with it in that location. If you hit shallow water and have to pull your fins up you will have to tilt the unit down. That is a pain. I positioned mine by my feet. 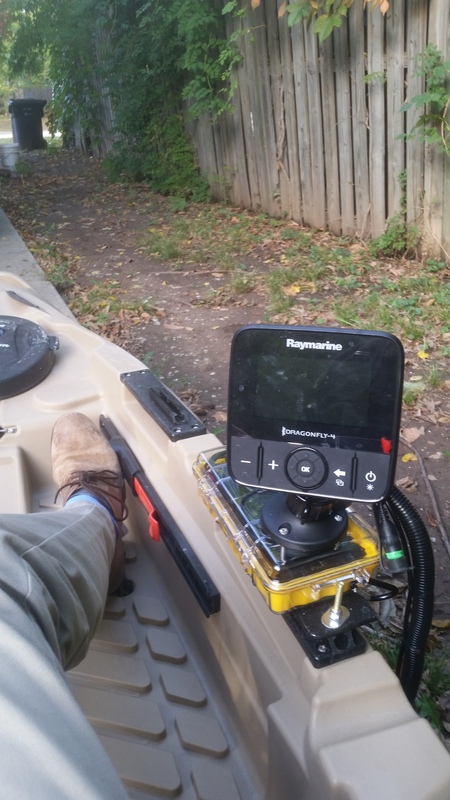 I have to reach forward at times to use the unit, but I never have to move it if I have to paddle. like the waterproof concept of it, but I don't like where you positioned it for one reason. You can't paddle with it in that location. If you hit shallow water and have to pull your fins up you will have to tilt the unit down. That is a pain. I positioned mine by my feet. I have to reach forward at times to use the unit, but I never have to move it if I have to paddle. To each his own, but that's mounted on a Predator MX, not PDL, so all I do is paddle. Never had an issue with its position getting in the way of paddling. 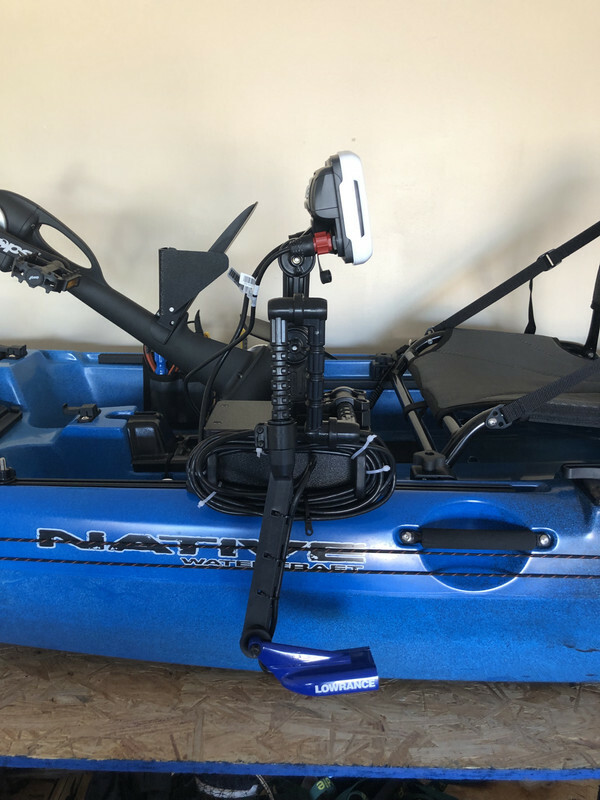 I needed something that was completely removable as I often fish shallow rivers where a lot of dragging is required so I wanted a unit I could take on and off without worrying about the transducer getting damaged. 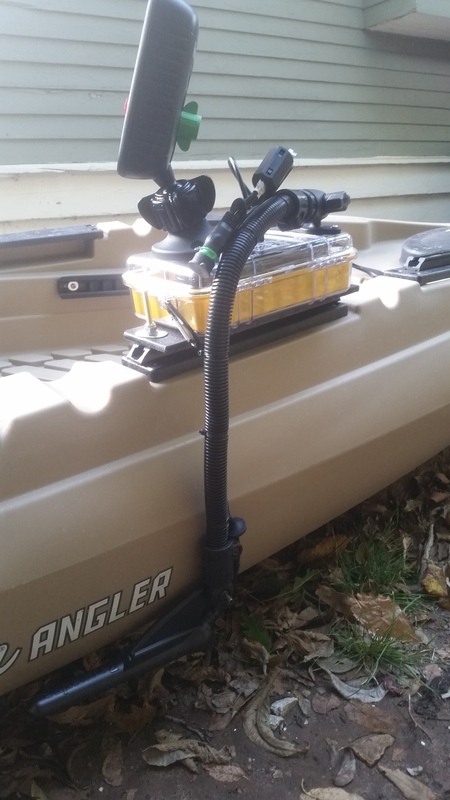 As a bonus, because it is entirely trac mounted, I can also use it on a flat back canoe that I put some gear tracks on. Works great in both applications. I liked it better when you were banned and couldn’t make me feel like a shite fisherman. Hit up Black Lake which could have been called brown lake today. It was a muddy mess. Only caught 3 trout. yall yaked it or boat? couple deep holes and everything else shallow? Heard the salinity is low. Were there many boats or yaks?